This plasmid contains both the mouse albumin promoter/enhancer sequence and coding sequences of the human growth hormone gene flanking a unique BamHI site. This plasmid may be used to assemble transgenes for expression in liver. 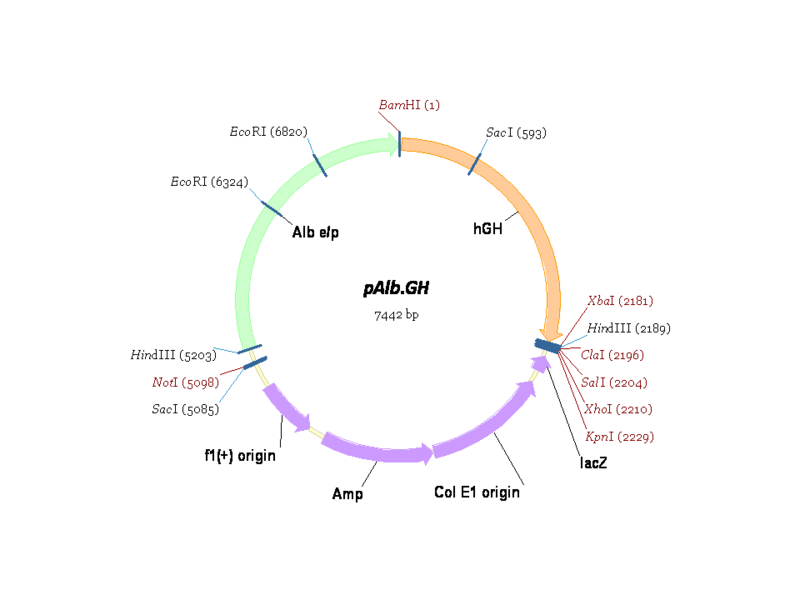 Note: The albumin promoter/enhancer sequence was originally obtained from Richard Palmiter.